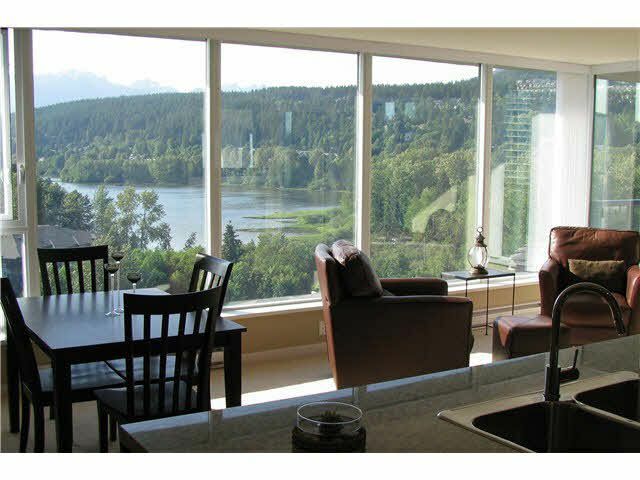 Incredible unobstructed ocean (Burrard Inlet) and mountain views from this corner unit! Stainless steel appliances and granite counters, laminate flooring (looks like hardwood). Slate fireplace surround and painted professionally. Best floor plan, great use of space, seems bigger than square footage. Incomparable location is a convenient walking distance to shopping. Very tranquil and away from the main streets. Enjoy walking to the ocean, nature that the surrounding area has to offer. Resort style living including 15000 sq ft Canoe Club has pool, hot tub, steam room, theatre, tennis court, gym, etc. Bonus 2 side by side parking stalls and storage locker. Near all amenities. Act fast, this opportunity won't last.